When some people think about manufacturing, they imagine factories with huge iron smoke stacks where molten steel is shaped into auto parts. In other words, they think of metal — lots and lots of heavy metal. The reality of manufacturing in America today is that it’s driven by small businesses and entrepreneurs, who often manufacture products using plastics and polymers with 3D printers. In fact, 90 percent of the 14,000 members of The National Association of Manufacturers are small to medium-sized businesses. The national trends are evident in Loudoun County. Our manufacturing firms are nestled in flex-industrial space taking up as little as 1,000 square feet. Yet they’re creating drones, medical devices, military apparatus and other small machines used across the country and around the world. When I first started working here in Loudoun Economic Development, I was charged with identifying gaps in our resources for entrepreneurs. While taking inventory, I quickly discovered how many boutique and specialized manufacturing firms were operating in Loudoun. What we lacked in 2015 were central locations and communities for these entrepreneurs to come together and share ideas, equipment and specialized knowledge. Fast-forward three years. Loudoun now has an important infrastructure and resources to support entrepreneurs who create physical products. Today we have Makersmiths Innovation Forge, which has expanded to two facilities in Loudoun. One is in Leesburg and the other is in Purcellville. Their membership-based, volunteer-operated facilities provide unique workshops to gain skills such as 3D printing or wood shop tool training. 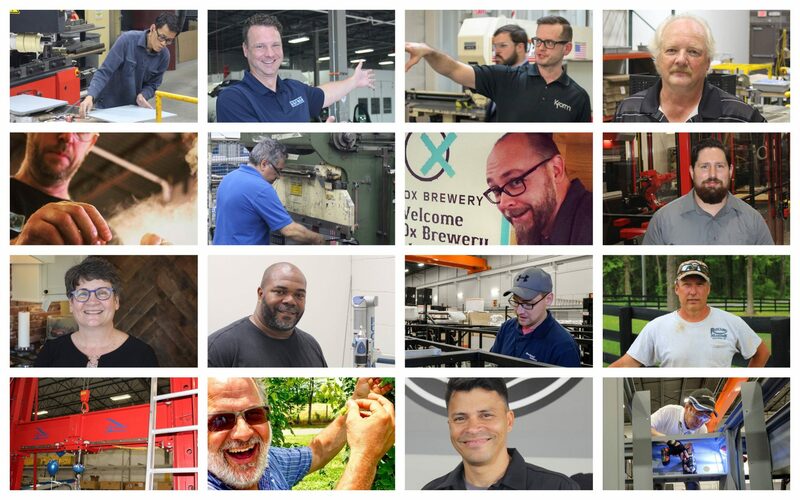 Successful manufacturing companies have formed associations or committees to support their industry and help the next generation of producers in Loudoun share success. For example, in 2017 the Loudoun Craft Beer Association formed. Now, you probably don’t think of making beer when you think of manufacturing. But the dictionary defines manufacturing as converting raw materials into finished products, often on a large scale using machinery. That definitely applies to craft brewing. Civic and educational organizations are also a vital part of the manufacturing ecosystem. They introduce students to career opportunities in the manufacturing industry. Loudoun’s library system recently launched Makers in Loudoun Libraries. This is a free program now available in three library branches. Loudoun County Public Schools’ Monroe Advanced Technical Academy offers qualified students the ability to enroll in 26 career preparation programs that include welding and computer-integrated engineering and design. Students can also learn these skills at the new Academies of Loudoun, which just opened this school year. We’re holding this event on National Manufacturing Day, and you’ll get to interact with Loudoun-based manufacturing firms as well as representatives from educational programs who are inspiring our talent pipeline to explore careers in this important industry. The event includes lunch.